Download 2018 calendar for NEW JERSEY state in the USA. PDF format. Print New Jersey calendar 2018 for free. 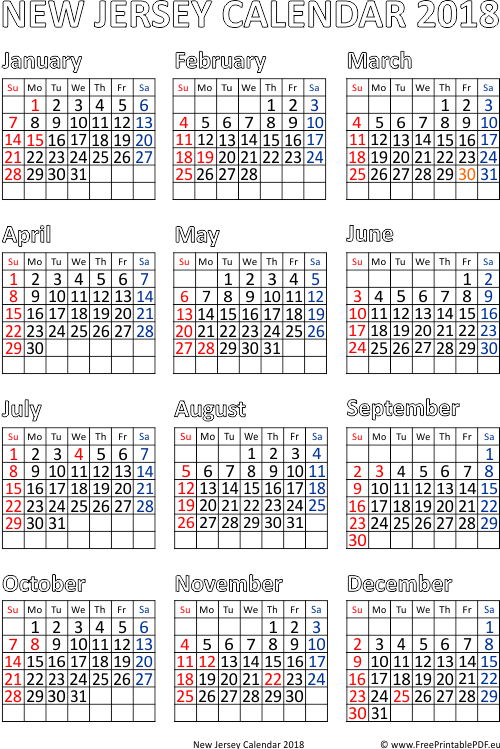 New Jersey state holidays marked by orange color. Red color - Sundays and Federal Holidays.